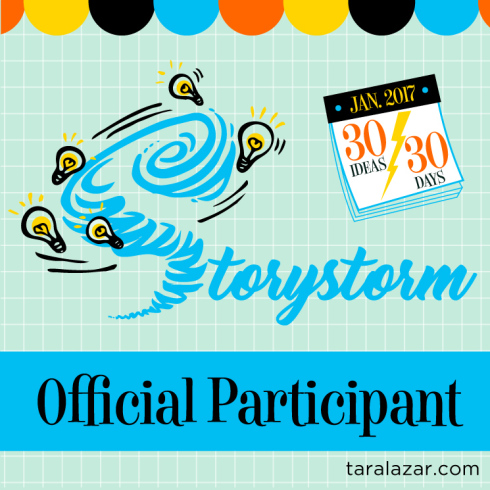 In case you forgot, STORYSTORM, founded by Tara Lazar is taking place this month. If you’ve never participated in STORYSTORM, I encourage you to consider it for next year. I’ve been providing updates as I’ve moved along this month. I am happy to say that I finished STORYSTORM a few days early. And just to prove I’m a bit of an overachiever, I went with 31 ideas instead of 30. Next month I’ll take these ideas on vacation with me and comb through to see what’s worth working on and what might have to stay hidden for a while until it rattles around in my brain some more. There might even be some that just need to hit the trash bin. Did you participate in STORYSTORM this year? How are you doing? Idea 1: As you may know, I am a lover of history. I would like to start a time travel series where two or three kids (maybe siblings, maybe friends) travel to the past via a certain object (perhaps an old diary from an ancestor or locket). The kids would meet historical figures along the way and help solve some problem. Once the problem is solved the object would bring them back home. My first stop would be Colonial America, then maybe America during the Civil War, and perhaps they would even spend some time with one of our former presidents. Idea 2: I would also like to create a Scooby-Doo type mystery series where a group of kids get themselves mixed up in solving crazy mysteries. Idea 3: Last idea for today would be a short story about Mother Goose characters getting their rhymes all mixed up. Does STORYSTORM sound like something you would enjoy? Registration is open through January 7. Picture Book Idea Month is Now STORYSTORM! During last month’s virtual book tour, I spoke a lot about Picture Book Idea Month and how it helped me to come up with more story ideas than ever before and led to the publication of Macaroni and Cheese for Thanksgiving and Amos Faces His Bully being under contract with Guardian Angel Publishing. 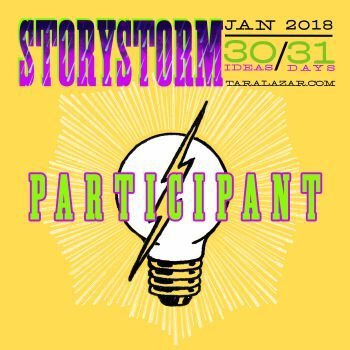 Though it used to take place in November and was limited to picture book authors, its founder, Tara Lazar, moved this annual event to January and renamed it STORYSTORM so that the broader scope can inspire even more writers to fulfill their dreams. You can read more about the changes here. Want to join us? Register here by January 7th!